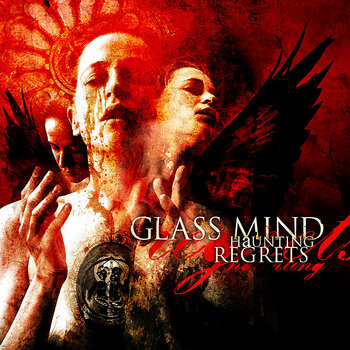 Glass Mind is a young band playing a heavy brand of power metal with some prog elements added. Most noticeable are the very nice classical (piano) allusions, the guitar riffing and the very good vocals. Some more could have been done with the enthnic instruments in the album intro, maybe we’ll see more of that in a later album. The songs are rather catchy and memorizeable while being well composed. The vocals are powerful, in the vein of Russel Allen and similar singers. Although there is not really a ‘hit’ on the album, there are some tunes that will stick in your head, others will take more listens to get them digested. In my opinion t is a very very great debut and shows the huge potential of the band. Check out the album, that is available for free on the band’s bandcamp page. Currently they are working on the second release that I am looking forward to. A little bit more history: founded in 2005 by guitarist Benjamin Berthier who was only 15 years old at the time and his drummer Edgar Garduno, who was 16. They took part in three band contests, winning one third and two first places, winning them some gigs in Japan in one of them. In 2008 they put out the album Haunting Regrets with mexican label Circo Volador. In 2010 the band toured Japan again, performing in Tokyo, Osaka and Shiga. They were rewarded by a distro deal with a Japanese label, and started re-recording their album as a whole with some new arrangements and a brand new track. This time the album was produced by the band themselves. Also Alejandro Afuso joined the band for this album rerecordings as a keyboardist, and Dante Diaz (War Kabinett, The Arkitecht) did some guest vocas. 2011 saw the release of the rerecorded Haunting Regrets album. Jonathon Barwick and Tom Brockman created it in 2004. They state their influencs as coming from Iron Maiden + Black Sabbath, AC/DC + Thin Lizzy, Queen + The Darkness. All with a slightly modern and original twist. Taberah quickly became a staple act in the Tasmanian live music scene. They recorded two demos, 2006 and 2007 and an EP containing a Queen cover song (Crazy Little Thing Called Love) in 2009. In early 2011 TABERAH were hand picked by Lemmy Kilmister himself to open for Motorhead on the Sydney leg of their 2011 Australian tour. Other milestones include sharing the stage all around Australia with high profile international and national acts such as: Paul Di’anno – (ex Iron Maiden) and Tim ‘Ripper’ Owens, LORD, Psycroptic, Black Majesty and more Australian acts.2011 saw the band record & release their debut album “The Light Of Which I Dream”. The album earned TABERAH some attention, they stat worldwide, but I’d say locally. 2012 saw them recording the follow up entitled “Necromancer” set for an August 2013 release. Brazilian Power / Prog metallers Age Of Arthemis have just started on their new album, follower up of their 2011 release “Overcoming Limits”. Wisdom is a Hungarian power metal band from Budapest. Their band name is taken from a 1986 movie where Emilio Estevez played a guy called John Wisdom. Formed in the fall of 2001, the group is known for basing each song on a well-known quotation. Many of the band’s lyrics and all of the album covers center round an old man, the fictional ‘Wiseman’. After about a year they started making a name for themselves with a 3-track demo recorded at home and the band Kalapacs decided to take them out on tour. With the help of an event organizer who saw them there the band managed to get booked as opener for Iron Maiden in front of 15 000 people. Meanwhile the concept of Wisdom was starting to take shape. They wanted to build up a narrative world around the name, Wisdom, from the beginning based on examples of Iron Maiden’s Eddie or Megadeth’s Vic. Next the chief editor of the largest motorbike magazine entitled Born To Be Wild selected the band for a long term cooperation. In due course the band supported Saxon, the UDO-Doro Tour, Europe, Helloween, Judas Priest and Startovarius. In July 2004 the 4-track self-titled EP was released, not in the traditional way but as an attachment to the Hungarian Metal Hammer. In 2006 the album Words of Wisdom was released by Hammer Records, and soon after licenced by a Japanese label, making Wisdom the first Hungarian band to release an album in Asia. Wisdom toured in support of the release but went on hiatus in 2008, to sort out line-up changes. In 2010 a new vocalist was found and recordings started. In order to promote this new album, Wisdom went on tour in Fall 2010 where the new vocalist hid behind a mask at all gigs. The “mask” tour and a new video release brought about huge interest for the album Judas that was released in April 2011. Mats Levén (Therion, Malmsteen, At Vance) performes one track as a guest vocalist. From September to November 2012 Wisdom were touring with Sabaton and Eluveitie taking them through a great part of Europe. Golden Resurrection is a Christian neo-classical power metal band, formed in 2008 by Christian Liljegren and Tommy ReinXeed. Lilijgren also founded Narnia, now disbanded but definitely worth checking out as well. He is also vocalist for Divinefire and Audiovision. Tommy ReinXeed is a multi instrumentalist, founder of ReinXeed, an epic soundig neo-classic metal band. If you go listen to all of those bands, they sound very much alike, and for those who dig that sound this is a whacking lot of music to check out and like. These guys have some serious talent. 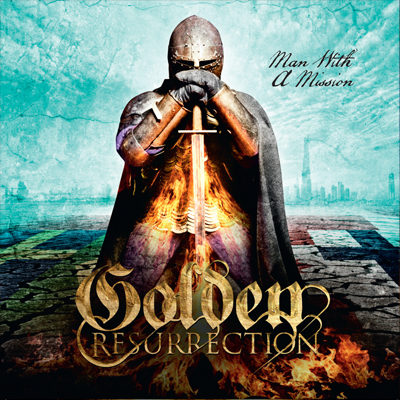 During 2009 Golden Resurrection wrote the songs that they recorded for their debut album ‘Glory To My King’. The material was a little like resurrection of early Narnia, rather powerful stuff yet very meldoic and synth heavy. Japan showed big interest in the band and several labels offered contracts. The debut album by Golden Resurrection was released in 2010 and recieved high praise from Burrn! Magazine Japan. Their second album is more symphonic and melodious still, ‘Man With A Mission’ was released a year ago in October 2011. The band toured Sweden, Norway, Finland & Germany, but dropped the rest of the dates after two band members left. They went back to working on new material, for their third album ‘One Voice For The Kingdom’ that is set for release in January 2013. What sounds like a stand up comedian’s idea of a dud’s name is in reality a Norwegian prog metal / rock band formed in 2009 but resurfaced 2011 in new line- up and style. The band did support shows for both Whitesnake and Deep Purple after their self titled release in 2009 but was never really known outside Norway. 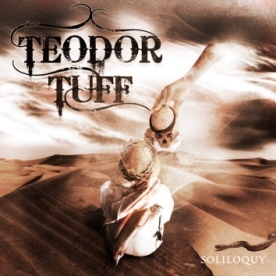 The band’s sound has now changed, Teodor Tuff comes across as a metal rather than hard rock band with inspirations taken from classical music, rock opera, musicals and even Middle East folk songs. Guest performers on the album: Jeff Waters (Annihilator), Mattias IA Eklundh (Freak Kitchen), Martin Buus (Mercenary), Eskild Kløften (Divided Multitude), Jacob Hansen and Tonje Harøy. The album was mixed and mastered by Jacob Hansen. The band will be touring Europe with Jorn this year. Good tracks here are The Last Supper, Heavenly Manna, whereas Tower Of Power sounds much too mainstreamy to me, like a slightly metalized Nickelback. Still, a good release with a good portion of originality.